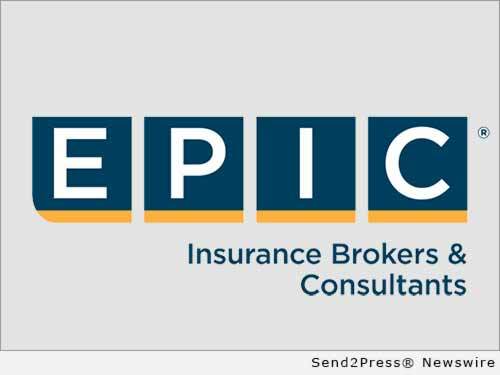 SAN FRANCISCO, Calif. /California Newswire/ — EPIC Insurance Brokers and Consultants (EPIC), a retail property, casualty insurance brokerage and employee benefits consultant, today announced a significant milestone, having become the 15th largest employee benefits broker/consultant in the U.S. In addition, EPIC ranks #11 among the country’s fastest growing large group broker/consultants, based on Form 5500 data from the Department of Labor, compiled by business intelligence provider miEdge. Aside from impressive organic growth, EPIC’s rapid climb was fueled by the acquisition of Ascende Human Capital Consulting in January 2016. Founded in 1995, Houston, Texas-based Ascende (now Ascende – an EPIC Company) is one of the largest independent employee benefits consulting firms in the country, providing solutions in a variety of human capital related fields, including health and welfare, benefit plan administration, retirement, investment advisory, pharmacy management, wellness, communications, global benefit solutions, mergers and acquisitions consulting and human resources consulting services. The addition significantly expanded EPIC’s employee benefit capabilities nationally, adding nearly 100 top professionals and a strong client base in the Southwest to EPIC’s existing team of more than 200 employee benefits professionals across the country. miEdge(TM) is the leader in prospecting solutions specifically designed for insurance & financial professionals. The innovative miEdge solution utilizes Form 5500 data from the Department of Labor and applies proprietary business logic, along with algorithms and data cleansing to provide unrivaled data intelligence in an easy to use intuitive interface. miEdge technology solutions include; employee benefits health & welfare and retirement prospecting, health & welfare analytics and advertising solutions. Visit www.miedge.biz to learn more.